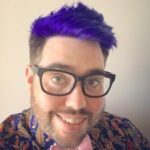 The line between business and first class has been shifting ever since the former was introduced some forty years ago, but recent developments among even the most premium-focussed airlines have me thinking that there are real chances to capitalise on the better-than-business market that remains. 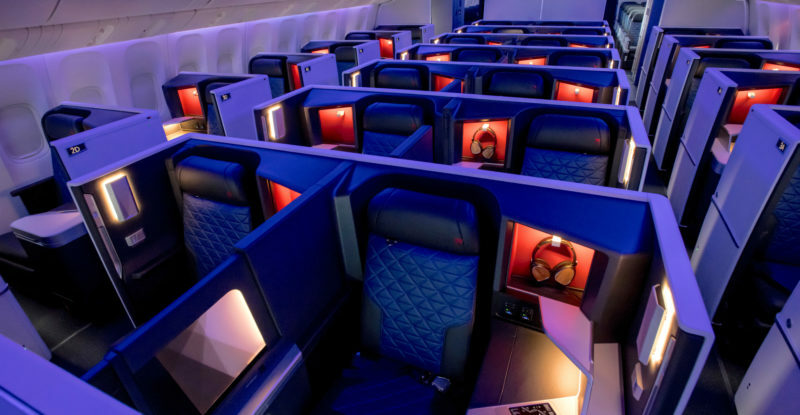 After all, even in the sunset of first class, there remain several sizeable — and lucrative — markets where passengers are willing to pay for a better-than-business experience. Are airlines and seatmakers willing to leave cash on the table? A discussion with Rei Kigoshi from seatmaker Jamco’s Product Innovation Office in its Aircraft Interiors and Components Group — in the context of the Japanese company’s “Spread Your Wings” concept at this year’s Aircraft Interiors Expo — spurred me into further thought. 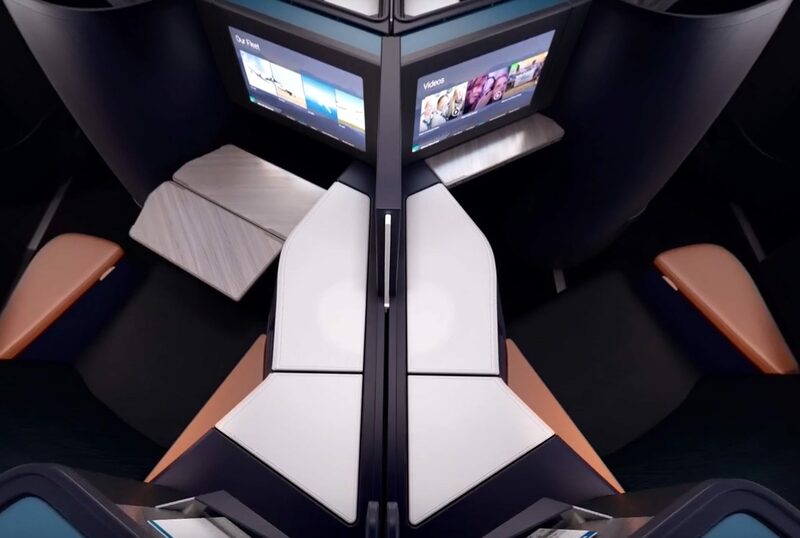 Buying a second business class seat doesn’t really add to your space in most cases, and we haven’t seen a properly hybrid or convertible seat, or section of seats, in the longhaul business class market. 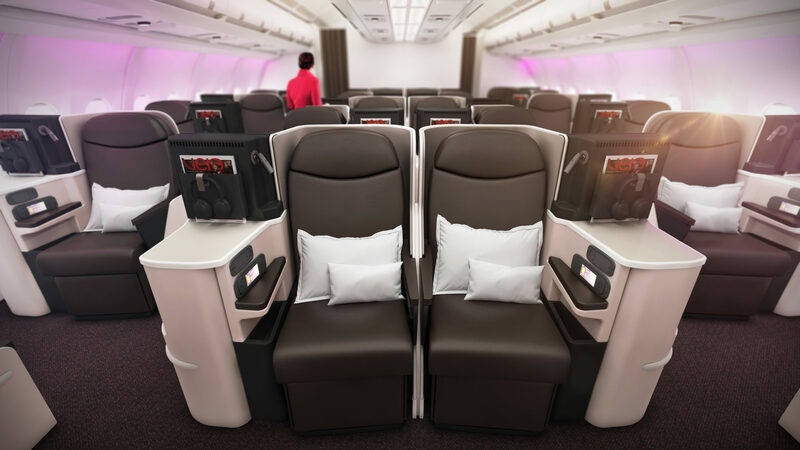 Virgin Australia used to offer a privacy-boosting row of business class seats where three sets of seats in a single row behind doors two could be separated from the rest. This was back before they had direct aisle access, and handy for Hollywood types but with few extra benefits — and in any case, those days are now gone with the (much improved) new seating. There’s some interesting wider context here too around loyalty. The chief executive officers of the Star Alliance network have recently been discussing offering more than the existing Gold tier, which could well open up access to first class lounges for the airlines’ most valuable customers. 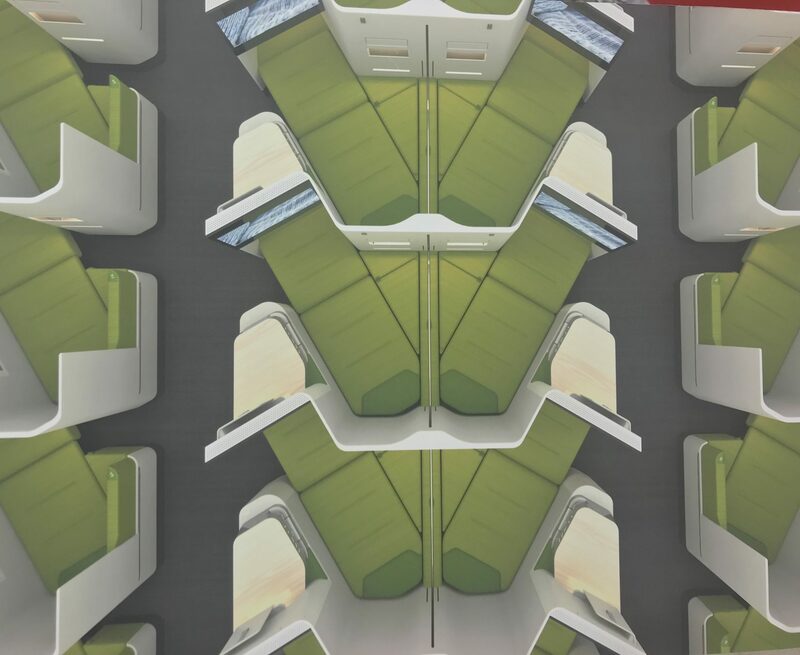 That would match oneworld’s rather more compelling Emerald tier, which already offers first class lounge access, with some examples — like Finnair, say — of carriers offering a better-than-business lounge even when they themselves top out at a business class offering. Yet airline perk models differ. Lufthansa offers better lounges to Gold (Senator)-level cardholders than it does to its own business class travellers, for example, while Singapore Airlines’ KrisFlyer Gold frequent flyer lounges offer less than the business class SilverKris lounge — the relative worth of those two precious metals providing some eyebrow-raising confusion between the two. 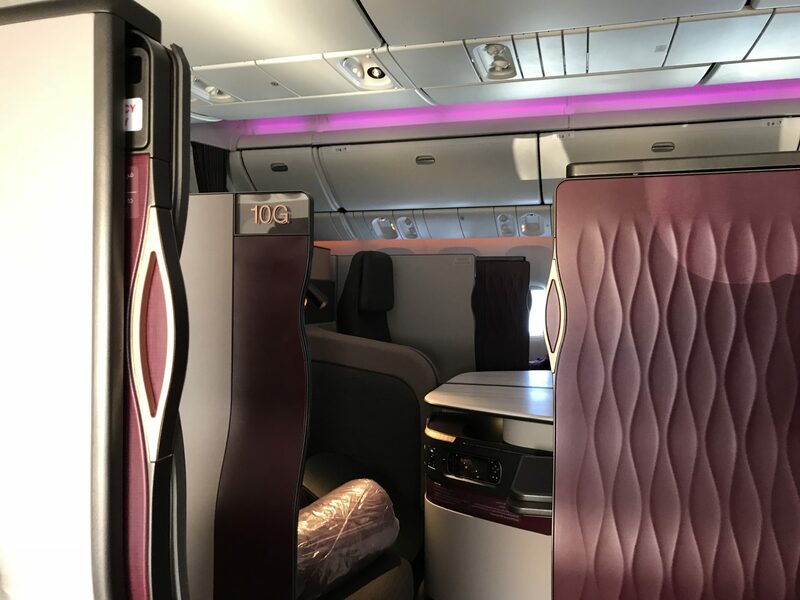 On board, Qatar Airways’ Qsuite is, in substance, better than quite a few first class products out there. But what’s missing is design that enables passengers with deep pockets to spend up to commensurately increase their passenger experience. Sure, you could buy out a pair of centre seats or all four seats of a Qsuite quad, but with dividers at foot level in the double bed, and privacy screens to create your own space if you buy just one seat, why would you? Similarly, Singapore Airlines’ double bed offering in business class is a nice perk for passengers travelling together, and it’s possible to stretch out across the pair when flying solo, but what can airlines offer as a perk during the section of the flight when the seat is not in bed mode? Is there an option, for example, to create a flexible office zone for business-focussed travellers? Could some sort of hanger attachment create a mini-wardrobe, perhaps? Is there a fold-out extra privacy option, or an opportunity for a convertible product to add more storage? 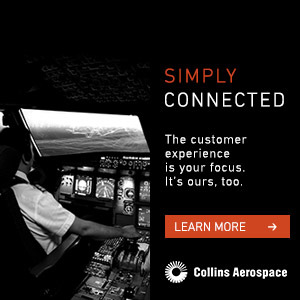 With an increasing number of suppliers (and indeed original equipment manufacturers) offering overhead storage for infrequently used items in the crown of the aircraft’s fuselage, what new swappable hard product can be created? Yes, soft product is an option, with quite a few airlines making a special effort to recognise and reward their highest-spending customers. But I can count the number of airlines I’d trust to deliver a consistent high-end soft product on the fingers of one hand. Despite its challenges, hard product may actually be the easier solution here. So, for those airlines trying to figure out how to make a business-plus experience — whether during the long golden autumn of first class as a product category, or as an upgrade for their most loyal customers, there’s a real chance for innovation. What can seatmakers, integrators and the rest of the industry do to help them, I wonder?